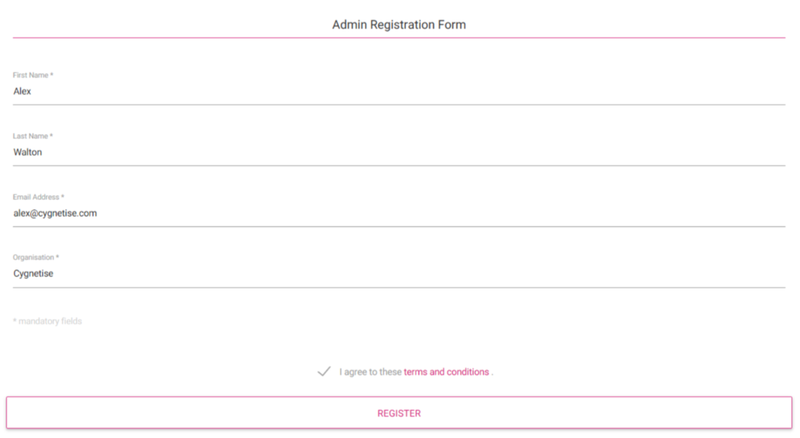 Click here to get to the Admin Registration Form. Fill out your details, check if you agree the terms and conditions and click the Register button. Click on the link provided. It will take you to a screen where you enter your password for your Cygnetise account. Enter the password twice and click Confirm. After you have clicked on Confirm you will receive a passphrase that you need to record somewhere. This passphrase is what allows you to add your data to the system. Click on the “I Have Saved This Passphrase” button when you have done that. If you want to add your list immediately simply click on Create Entity in the list in the top right of the screen. If you have any questions or issues during this process please contact Alex Walton at alex@cygnetise.com or +44 (0) 203 598 3808. To learn more, you can also visit our Tutorial Videos page.